The climate change scare campaign has always relied on arbitrary deadlines, dates by which we must act before it’s too late. 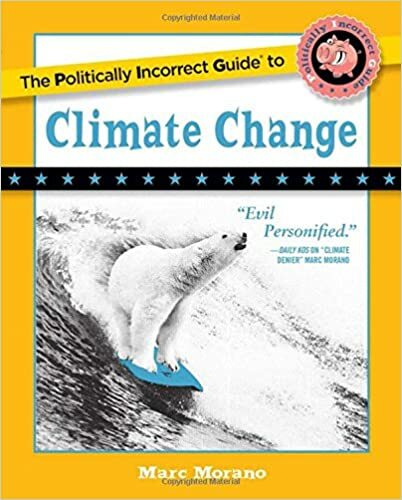 Global warming advocates have drawn many lines in the sand, claiming that we must act to solve global warming—or else. Gore has warned repeatedly of the coming tipping point. Climate change “can cross a tipping point and suddenly shift into high gear,” the former vice president claimed in 2006. Prince Charles has also warned that time is running out. “We should compare the planet under threat of climate change to a sick patient,” urged the heir to the British throne. “The clock is ticking. . . . Scientists believe that we have ten years to bring emissions under control to prevent a catastrophe,” reported ABC News. Tipping point rhetoric seems to have exploded beginning in 2002. An analysis by Reason magazine’s Ron Bailey found that tipping points in environmental rhetoric increased dramatically in that year. Michael Mann warned that the 2015 UN Paris summit “is probably the last chance” to address climate change.38 But the reality is that every UN climate summit is hailed as the last opportunity to stop global warming. about global cooling! Same rhetoric, different eco-scare. Here, courtesy of the great research published at Climate Change Predictions is a sampling of previous “last chance” deadlines that turned out to be—well—not the last chance after all. Bali, 2007: “World leaders will converge on Bali today for the start of negotiations which experts say could be the last chance to save the Earth from catastrophic climate change.” —New Zealand Herald, December 3, 2007.